Phones checked 80 times per day. Online around 24 hours a week. Making up dozens of days a year on phones or online. That is how often researchers have found millennial internet users spend working, tweeting, and exploring the digital world. Millennials, soon to be the largest living adult generation, are the most educated and technologically literate adult generation alive. They are supposed to live long lives, too – that is even more time to spend with technology. 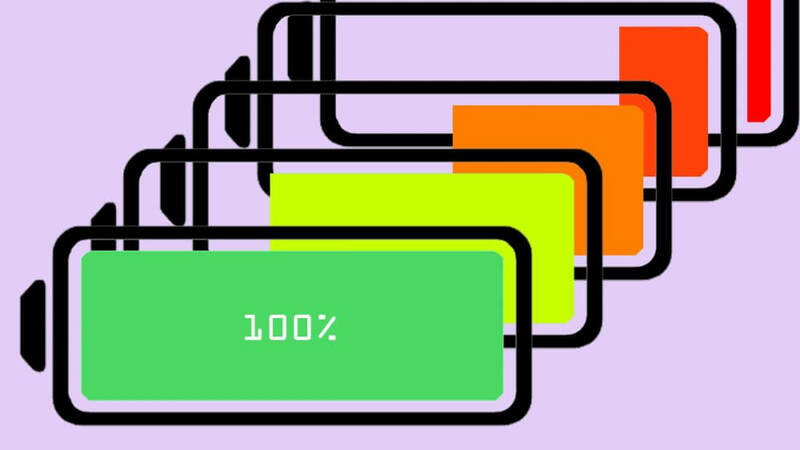 Mobile devices manufacturers are adjusting to millennial phone preferences with bigger batteries and smarter energy-saving processors, but most manufacturers are doing consumers a disservice when they talk about their all-day batteries because often it is not true for long. Sure, yes, the Samsung Galaxy Note 9 might have an “all-day battery.” It is big: The flagship phone features a 4,000 milliampere hour lithium-ion battery. It has cool features like wireless fast charging and it runs a big, bright screen. Reviewers were impressed or at least pleased by the battery life, but if they kept using it, they might not be. Lots of mobile device manufacturers tout big batteries. Manufacturers are fitting batteries with more milliampere hours in their devices and making claims about more talk time. However, they are not talking about an equally important battery measure – one that more manufacturers should design around and eventually brag about – battery cycle life. Battery cycle life is the number of times a battery, of whatever size or type, can completely charge and discharge before it noticeably falls below its original capacity. It is difficult to pin down an exact cycle life number for a battery – though, researchers have come up with a number of battery degradation models to make the estimate. Batteries do lose their capacity over time – the constant back-and-forth chemical reaction occurring inside wears them out. However, quickly aging batteries and phones have been a recent source of consumer ire. Apple in December 2017 admitted – after being caught – it was slowing old phones down. The batteries for its iPhone 6, 6S and SE, Apple said, were worn and the company needed to slow the devices to deliver the best customer experience and prolong those devices’ lives. The problem: Apple slowed phones without users’ consent. The other problem: The phones just were not that old. To quiet the uproar, Apple temporarily dropped its battery replacement costs. (The battery replacement program ends at the onset of 2019.) Months later, Apple introduced a “battery health” feature, which estimated a battery’s total current capacity compared to when it was new. The feature felt like a transparent step, but it showed the company’s phones were not built to maintain healthy, long-lasting batteries. Most manufacturers build their phones for out-of-box performance and peak specs. Manufacturers like to talk about milliampere hours, a measure of electrical current that dictates how much power a battery can provide over time. The bigger the number, the larger the battery capacity, which is cool and nice. However, a behemoth 5,500 milliampere hour battery that is pushed to the limit might only give consumers a year and a half of healthy battery performance. Out-of-box performance is important but so is at-work performance and at-home performance, especially a year after peeling the plastic off the screen. Manufacturers could prioritize battery cycle life by building hardware and software that charges to a lower voltage than the battery’s maximum capacity. Yes, it lowers a few specs, but it significantly extends the life of a device. Instead of 300 charge cycles, a phone or tablet might get 600 charge cycles before the battery gets old and tired. That could mean a few more years from a phone. This comes during a time when leading consumer phones are getting more costly. Phones, like the iPhone XS and the Galaxy Note 9, are getting more expensive – diving deeper into $1,000 territory. Phone improvements, some have argued, are becoming incremental, which may cause consumers to wait another year to replace their phone. Studies show people are keeping their phones longer than ever before. Right now, though, batteries in popular phones probably will not last as long as consumers want to keep their devices. At least the big battery worked well right out of the box, right? Juniper Systems rugged mobile computers, tablets, and GNSS receivers are designed to optimize battery life. For more information about Juniper Systems’ rugged lineup of products, contact us here. Visit Juniper Systems online.